JPG is thrilled to announce that we’ve won two couples choice awards for our wedding photography from The Knot and Wedding Wire. These awards are based on customer experience and reviews. 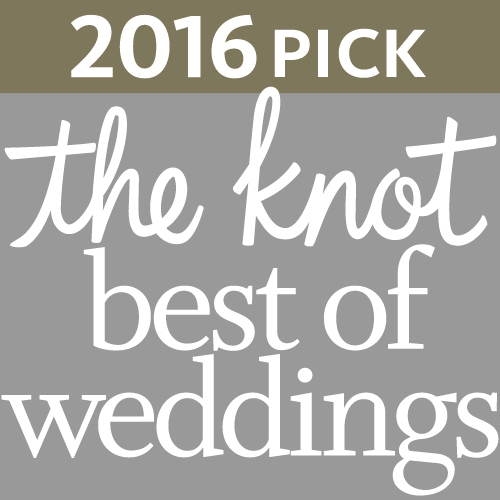 The Knot handed us a 2016 “Best of Weddings” award for the third year in a row. They determine who gets this honor (only 2% of their listed photography vendors made the cut this year) by calculating how many positive customer service reviews they’ve received, so we can’t thank you, our customers, enough for taking the time to share your positive experiences with JPG online. In addition to our award from The Knot, we also have been recognized for the 7th consecutive year as “Top of Wedding Wire,” by WeddingWire which is also given to wedding photography studios with overwhelmingly positive customer service reviews. Your enthusiasm about what we do here at JPG means the world to us. Thank you!